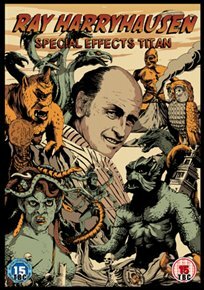 Documentary which looks at the life, career and influence of Ray Harryhausen, a man deemed the grandfather of stop-motion animation. Famous for his work on films such as ‘Jason and the Argonauts’ (1963) and ‘The 7th Voyage of Sinbad’ (1958), his visual effects and animations have had significant influence on the sci-fi and fantasy genres. Drawing on interview footage with the man himself as well as a host of directors who admire his work, this documentary takes a look at Ray’s legacy and offers a selection of previously unseen clips which help tell the story of the man and his contribution to film.